SW6 covers the area of Fulham. It neighbours on Chelsea in the East, Hammersmith in the North, Wandsworth in the South and Barnes in the West. Eel Brook Common, South Park, Hurlingham Park, Bishops Park and Lillie Road Recreation Ground provide the locals with some greenery. Even though Fulham is very close to Central London and some of the most famous and affluent parts of it, it is relatively quiet and spacious. It is very well connected with countless bus services running both South and North from all parts of SW6 as well as with the District Line running through Fulham Broadway, Parsons Green and Putney Bridge Stations. It is a relatively young postcode with the 18-44 demographic being over-represented compared to the London average. This also applies to the number of multi-adult households. These statistics give us an idea of the kind of resident one can expect here. Many of the young city professionals that find Chelsea a little out of their budget have started moving slightly further West and many of them have landed here in Fulham. The area is attractive not only thanks to it's location but also due to the very high quality housing that can be found here. There are Victorian Terraced houses lining the roads up and down the whole postcode. It is also not unusual for some of them to have attached gardens and the local farmers markets and small producers, butchers and shops give Fulham a lovely feel. SW6 is one of the best areas for leaflets distribution in London. We regularly run campaigns of 20,000 leaflets a week here for multiple companies. Due to the nature of the properties that can be found here and the residents occupying them it would be hard to find a place in London that responds to leaflet distribution as well as Fulham. One of the main advantages of delivering leaflets in Fulham is the fact that the residents here tend to be affluent but compared to some the super-affluent areas East of SW6 they tend to stay in London all year-round. The super-rich that visit London for the summer tend to live in Chelsea, Kensington or Knighstbridge which brings specific challenges for leaflet distribution. In SW6 the likelihood of your leaflets being delivered to an empty property is close to zero. 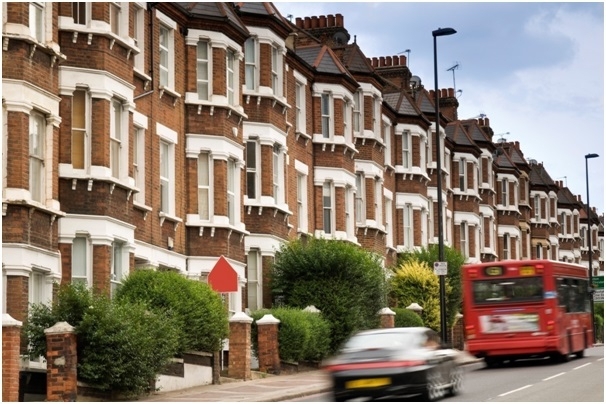 It is basically the most cost-efficient place to target affluent Londoners by leaflets. We of course keep all of the policies ensuring the best quality of distribution in place here. We never deliver in the rain in order to never damage your leaflets. We also do not fold the leaflets at the point of delivery unless absolutely necessary. Since many homes here have been split into multiple flats we deliver one leaflets to homes with one doorbell, two leaflets to homes with two doorbells and maximum of three leaflets to homes with three and more doorbells. This allows us to gauge the amount of households we are delivering to fairly accurately and make sure the we both do not waste your leaflets or miss homes of potential customers by underdelivering.